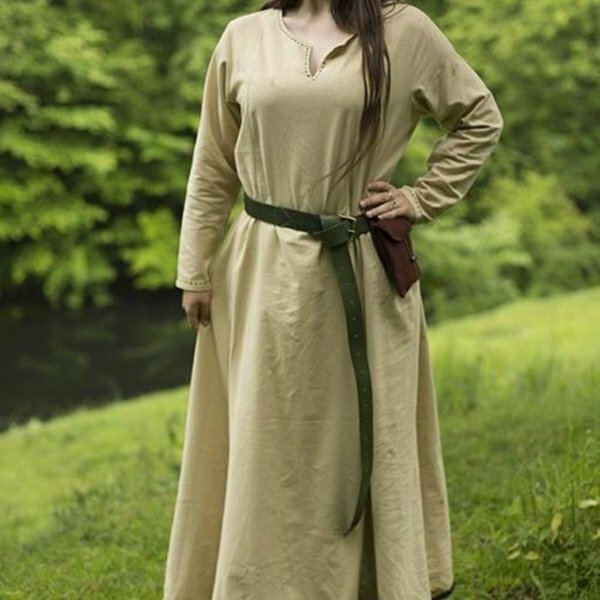 A beautiful ankle-length dress with a contrasting color hem and decorative stitching around the neck and on the sleeves. 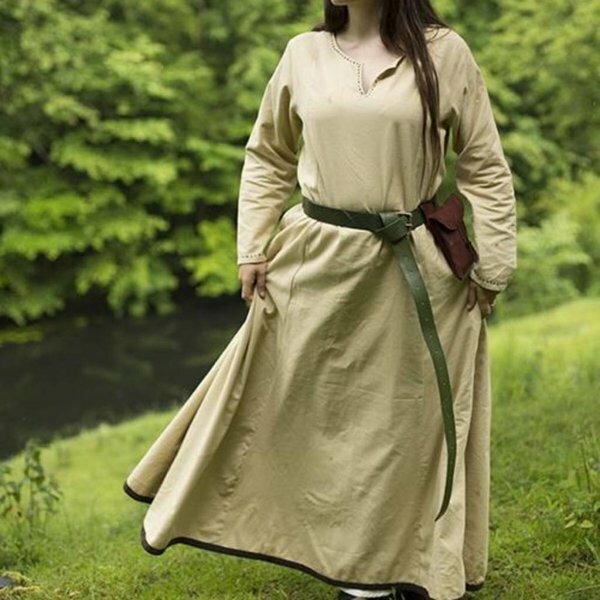 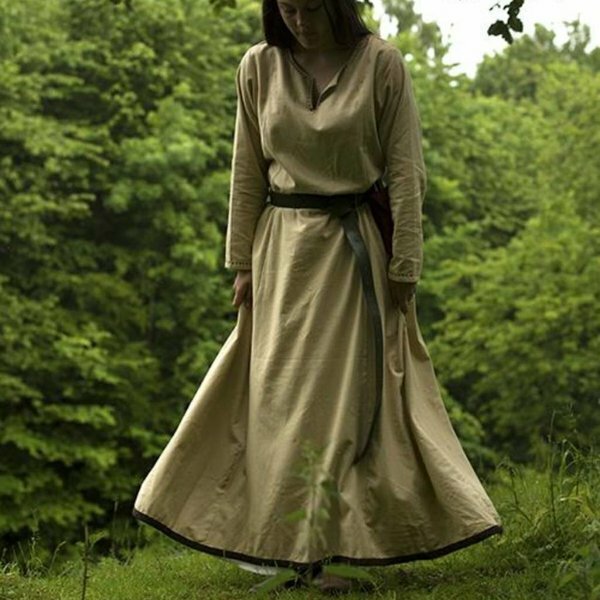 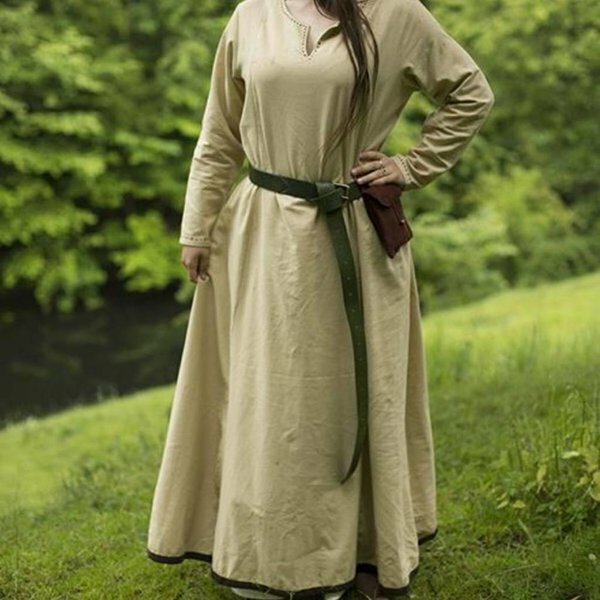 Because the dress is a real basic model, it is suitable for the representation of LARP and re-enactment characters. 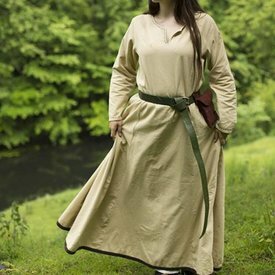 Because of the straight model this dress can also be worn over a skirt or other dress.